Hey everyone! Sorry it's been a while since I've posted. Like I warned you, things have gotten crazy and have prevented me from posting as often as I'd like to. 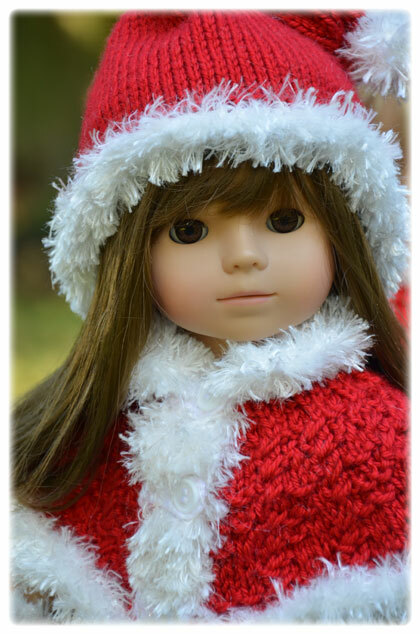 I'm so anxious to get my doll rooms all set up for Christmas! We got our tree up but as a result ended up doing a lot of rearranging. My house is a complete disaster area...except for the kitchen, which I cleaned today. :) When I'm feeling stressed, I go stand in my kitchen and pretend that the rest of my house looks as nice as it does. ;) As you can imagine, I'm trying to get a bit more of my house taken care of before diving into my doll rooms. I've also been doing some eBay and Craigslist listings. 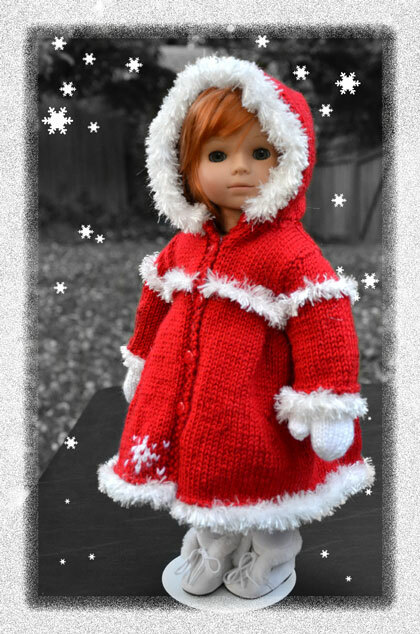 I wasn't planning on selling anything in the month of December (I must be crazy!! ), but my mom and I had a few things come our way that we thought would sell well this time of year. If any of you are interested, you can check out my eBay auctions HERE. I'm not supposed to be typing too much as my shoulders, neck, and clavicle are still healing (and I'm soooo impatient!!! I have tons of blog posts for all 3 blogs just aching to get out!! ), but I had to say a quick and official "Happy Thanksgiving" to everyone. :) I pray that you all share a wonderful day with friends and family, remembering God's blessings. I'll be out of town tomorrow, so your comments might not be posted right away, but I'll have time to check them sometime Friday. Talk to you then! P.S. I mentioned this in a post last year, but a great book that our family really enjoys this time of year is "Thanksgiving: A Time to Remember" by Barbara Rainey. It has the story of the first Thanksgiving, places for your family to record what they're thankful for, and even a CD of instrumental hymns appropriate for the holiday. I'd definitely recommend it if you're looking for a way to make Thanksgiving more significant and not so overshadowed by Christmas. Okay everyone, thanks for being so patient. I had my middle daughter's Thanksgiving program at the school this morning, so I couldn't get to this until just now. Sadly, my first winner of Giveaway #3, the Disney Store Rapunzel doll, didn't get back to me in the week following her win. Because I didn't hear from her, a new winner needed to be chosen. All of you who originally entered for Giveaway #3 were put back in the pot, and my daughter drew a new name. Congratulations, Angela! :) I'll be contacting you via email shortly to request your mailing address. You will have one week to respond to my email. If I do not hear from you by Tuesday, November 29th, a new winner will be chosen. Talk to you guys again soon. 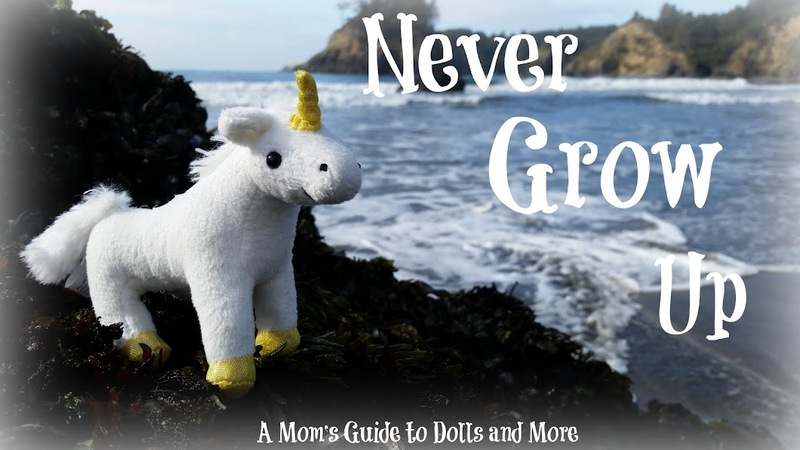 For those of you who have been waiting so patiently, I finally got around to updating the "My Dolls" page at the top of my blog. Hayden's personality profile is finally there! Sorry it took so long. I kept forgetting about it, or I'd remember it at a time when I couldn't get to the computer. I didn't have a chance to take an updated personality profile picture of Hayden, so I just used one of my favorites from the pics I've already taken. I may go in and update it later. Talk to you again soon! I'm off to clean my house (oh, joy!). New Trailer Up for Disney/Pixar's "Brave"
So, what are your thoughts? I'm excited to see the movie. I think it will be too dark for my girls until they're older (of course, most movies I let them watch have the scary parts edited by Mommy and the remote). 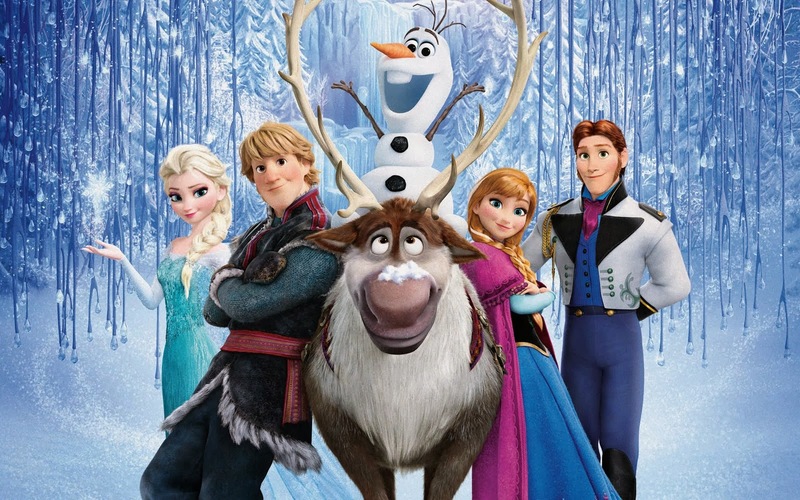 ;) The animation is beautiful (I love Merida's hair!!). I don't know enough about the story yet to know what I think about it, but it definitely looks interesting. There's one part in the trailer that I could have done without. I know crude humor is something a lot of people appreciate, but I am much more satisfied when a movie doesn't rely on that for its laughs. Here are the latest offerings from Debonair Designs, inspired by the classic Bing Crosby movie, "White Christmas". The link to the auction is HERE. This one is a full-length coat. Isn't it lovely? A link to the auction is HERE. I got some great news from one of my faithful readers last night (thanks, Elaine!). 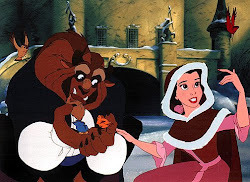 ;) As many of you may already know, Disney's "Beauty and the Beast" is coming to theaters in 3D in January. Since I'm not a big fan of 3D, I wasn't really planning on going. But then I heard from Elaine that there will be a new "Tangled" short film released with "Beauty and the Beast"!! 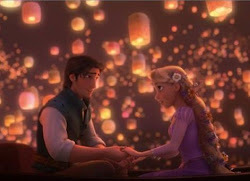 :D It's called "Tangled Ever After", and supposedly picks up where the movie left off, including their wedding! What do you guys think? Are you excited too? I had a lot of fun taking some fall photos of Hayden last week while I was at my aunt's house. The pictures pretty much speak for themselves, so I'm just going to share them with you without any commentary. :) Enjoy!! There was a great response to this, by the way. I want to thank all of you who entered. I wish I could give a prize to each and every one of you. Since my budget wouldn't quite afford that, though, I had to pick a winner for each. I will be contacting the winners via email today. They will have one week to get back to me with their mailing address. If I have not heard from the winners within a week, new winners will be chosen. Hi everyone! I just thought I'd remind all of you that tomorrow is the very last day to enter my fall giveaways! I'll be drawing the winners' names on Monday. We have a lot of great entries so far! :D For more information on the giveaways, you can click HERE. I had a couple other random things I wanted to mention as well. First off, I felt bad about missing Veteran's Day yesterday. I'd hoped to do a post, but things were a little crazy, so I didn't have time. At least I remembered to wish my dad a happy Veteran's Day and thank him for his service in Vietnam...which is more important that doing a post. :) I hope all of you had a chance to express your appreciation to the veterans in your life. It is so easy to take them for granted. Already, my grandpa (a World War II veteran) and many of his generation have passed away. Our Vietnam and Korean War Veterans are getting older. It is an honor to have them with us. We need to make sure we never forget their sacrifices, their stories. Without the brave men and women who have served in our military, some to the point of death, and those who are currently serving, our country would not be the place it is today. Our country is not perfect (no country will be this side of Heaven), but I am so thankful for the many freedoms we have that other countries don't. May we never take our freedoms or our veterans for granted! The other thing I wanted to share is that I'm entering the time of year when things get really busy and stressful. I love Thanksgiving and Christmas, but no matter how hard I try, somehow the season always ends up packed with more and more activities, events and responsibilities until I feel like I'm in the middle of a tornado! This makes keeping up with 4 blogs really difficult. The other thing that makes it hard is that we're still down to 1 computer, so I have to share with my hubby sometimes. ;) I'll do my best to keep things current, but you probably won't see nearly as many blog entries from me for a while. I try to keep on top of my comments even when I'm not doing a lot of posts, so feel free to comment anytime. I drew inspiration for this hairstyle partially from the way Catherine Morland, as played by Felicity Jones, wore her hair in the 2007 version of "Northanger Abbey". I also took some ideas from this YouTube hair tutorial. After the claws were in, I turned Charlie upside down and secured the ribbon with 2 mini bobby pins. I found these doll-sized bobby pins at Dollar Tree several months ago. They work really well for doll hairstyles...they even have the nice ceramic-type coating so they don't pull the hair as much. I stocked up on several packages of these, and I'm so glad I did, because I haven't seen them there in a while. After the ribbon was secured with the bobby pins, I put all of Charlie's hair (except for the two front portions in the claws) into a ponytail. Once her hair was in the ponytail, I twisted it into a bun and secured it with several more mini bobby pins. Once it was completely twisted, I brought it around her head and rested it on top of her bun. Then I tucked it around her bun and secured it with more bobby pins. A bit messy, I know. 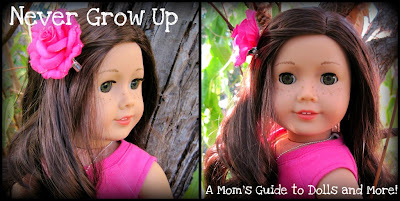 :} Next time, I think I'll probably spritz her hair down with my little spray bottle from American Girl. That should help with the flyaway hairs. Hi everyone! Pottery Barn Kids is having a sale in honor of Veteran's Day, and there were some great items for 18" dolls I thought you might be interested in. First, there's a sale on their doll backpack and lunchbox sets, which includes free shipping. They also have a school accessories set available, but it's backordered until November 30th. You can still order it, but it will be a bit of a wait. You can see all of the details HERE . There's also a really cute back to school outfit for 18" dolls. While it's being modeled by one of their cloth 18" dolls, it should also fit a regular 18" doll. 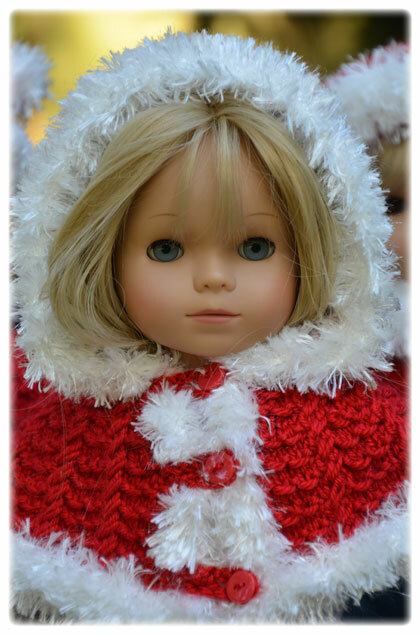 I bought an 18" doll outfit from them before that worked great for my AG dolls. The shoes won't fit, though. :) I've included a link to the outfit HERE. Finally, there's a sale on a cute canopy for a doll bed. I'm not 100% positive that this is for an 18" doll, but it looks like it would work. You can see it for yourself HERE. She also had a bunch of American Girl books, a really cute off-brand 18" doll bunk bed, an American Girl wheelchair, leg cast and crutches, 3 cami and undies doll-sized sets, Honey, girl and doll-sized Honey pjs, girl and doll-sized Mia pjs, and three dolls: Marisol, Rebecca, and My AG #29. There may have been more, but that's what I can remember. Maybe Rebecca won't sell and she'll lower the price.